Mayor James Kenney pauses as he makes his budget address to City Council in Philadelphia, PA on March 7, 2019. Chicken or egg? Education or economic growth? It’s essentially the same question, with the same answer: It doesn’t matter which comes first. To move Philadelphia — and Pennsylvania — forward, we need higher-achieving schools and more economic prosperity. We need both. When it comes to preparing our children to become productive citizens in a world-class city, we cannot afford to pit these issues against one another in a zero-sum game where supporting growth is seen as being against public schools. What we need is an achievable plan that helps attract and expand jobs while also incorporating long-term support for public education and workforce development. Ideally, the state and the city should work together to enact a pro-growth agenda that lowers tax rates, eases regulations, and invests in infrastructure. Expanding Philadelphia’s tax base through higher employment is the only sustainable, long-term means of funding our schools. It would also make Philadelphia a more powerful economic engine for the entire state. The reality is that Pennsylvania ranks 10th among states in total K-12 school spending on a per-pupil basis. Yet Pennsylvania ranks only 26th in economic growth since 2008, and our average annual growth rate is below the national average. We must do better. It may seem counterintuitive that reducing taxes improves education funding. 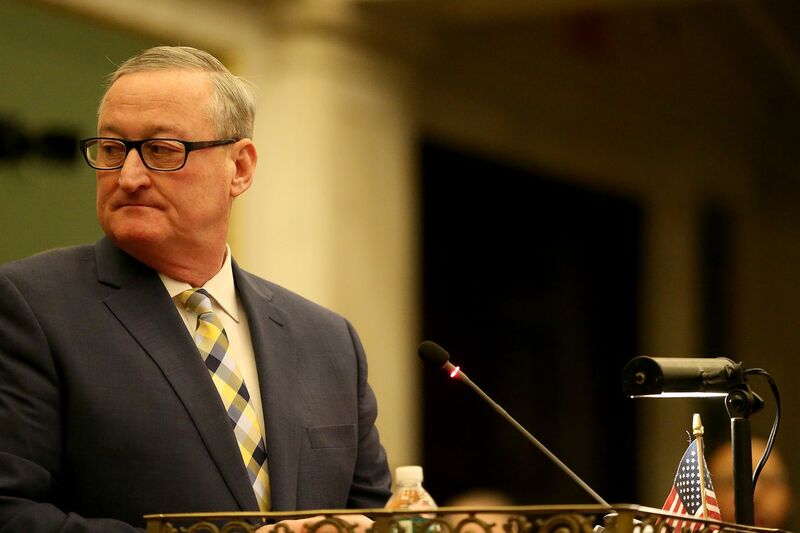 Look no further than Mayor Jim Kenney’s plan to increase funding for city schools by $33 million in the 2020 city budget. In addition to increasing funding for public schools, the mayor calls for a cut (albeit a small one) in the job-killing city wage tax. Let’s follow the mayor’s lead: A pro-growth agenda need not come at the expense of public education. Regarding inequitable school funding between districts, there are two inconvenient truths: the inequity itself and the difficulty in overcoming it. Since 2016, the state’s school funding formula has doled out new education dollars to school districts on a per-pupil basis, with extra weights for at-risk factors, such as poverty. In a perfect world, we would apply that formula to the entirety of state-level investments in education. That would help Philadelphia, but would hurt many other school districts, making such a solution politically implausible. Which brings us back to the need for a multifaceted solution: Grow Philadelphia’s employment sector and tax base, while working to expand access to good schools. To get there, school advocates must join businesses in supporting not just workforce development but job creation. Even with Kenney’s proposal to reduce the wage tax, it remains the highest tax of its kind in America. To make matters worse, Pennsylvania has the highest effective corporate income tax in the nation, so it’s no mystery that we’re at a competitive disadvantage. We can do this. We can improve the city’s ability to attract new businesses, investments, and jobs, while also providing a great education to every student. But it has to be “we." Democrats and Republicans have to work together for the Commonwealth. A comprehensive solution should include support for more equitable state education funding, especially in urban districts where generational poverty has created special challenges. But we cannot create disincentives for business and job growth. As a practical matter, with a legislature firmly in Republican control, addressing school-funding challenges with a pro-growth agenda is the only viable path. A pro-schools, pro-growth agenda requires hard choices. It all starts with recognizing that school quality and economic growth are two sides of the same coin when it comes to building our future. Think of it as the chicken and egg solution.